Blog:7 – Fluegel, Ã¼ber dies und jenes, Kunst, Design, Fotografie. read what they post when they do and comment they’ll appreciate it! RSS (or atom) Feeds are a really powerful tool to either stay in touch with information you value, get updates real quick and spend less time on getting information you want. About every blog, online gallery or news site has its own feed. Here a quick sum up how to use this efficiently, both as reader and as a publisher (artist, blogger, or if you run a community). 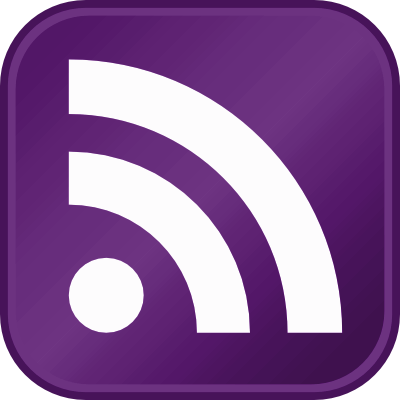 Rss, atom feed = a stream of informationÂ dividedÂ into different parts like headline, content, attachment. Why use this technique in the first place? Because it saves you time and makes managing your inputs of information easily. You don’t want to visit every site you like, where there could be new content daily. You have a chance that there is no new content and you leave again, without any gain. Further, you don’t have to remember all the places for valuable information around the internet, you just subscribe to the feeds and will be noticed when there is new content to see or read. How do I use it then? Many programs support feeds, browsers (like IE, Firefox, Opera, Chrome) mail clients (like Thunderbird or Windows Live Mail) or dedicated feed readers (like Shrook for Mac, Liferea and Akregator for Linux or Feedreader for Windows). There are also online services that collect your feeds in your browser window,Â accessibleÂ from everywhere (example: bloglines, google reader, netvibes). Why you should run a website or use a service (countless, like deviantART, flickr, blogger, blogspot, livejournal, wordpress) that supports feeds is because you reach your readers fast and you have a better chance that people that like what you do will come back or stay in touch through this feed. They might want to subscribe to your feed, but not visit your website manually every day to check if there are updates. If you post content (like photos, poems, blogposts)Â irregularlyÂ it will increase the number of your readers. How will I know if people use this feature? Simple: if your sites views go up, minutes after you have submitted new content, people have very probably subscribed to your feed. I see it myself, when I promote new content through links with bit.ly I have more readers online than clicked the link that lead to the article. These are readers that have subscribed. Another option is to use a service like Feedburner to monitor readers. Also there are plugins for most content management systems that show referrers or count hits on your feed-url. But I want people to visit the website! No problem, you can distribute a short summary of the article and not the whole content through the feed, which only gives the user a headline and the summary, if they want to read the whole article, they have to go to that article, by clicking the link. If you are not depending on advertisement on your website, I recommend you distribute all the content though. 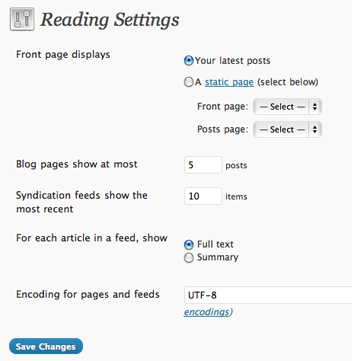 Below a screenshot of the wordpress rss settings. I’m at the point where I don’t want to go back. It works and it works well. I have not found major flaws that would make me switch back to Firefox. The primitive bookmark management is under development and I’m not finished looking for plugins to support it better (especially tags). I like the concept of the unibar, the merge of address and search field. Okay, it’s not that great, but it’s very comfortable to use and as far as I know it will be in Firefox 4.0 too. A plugin I do not need with Chromium is Tabs open relative. Chromium automatically opens links from a tab right to it and not at the end of the line. RSS-Feeder is a little Extension that shows a little RSS-icon in the address bar if feeds are available. As I use LiFeRea (Linux Feed Reader) as a desktop feed reader, that’s just the simplicity I need.